So we've looked at the new craze that is teething jewellery, now we're looking at what's happening with baby teethers. There seems to be a lot more on offer these days compared to a few years back when Finn was a baby. The on-going teething journey is happening with Violet and she is constantly chomping on something to relieve her gums, still no sign of a tooth yet though. She will literally chew on anything, her favourite things to chew seem to be her brothers toys which is not going down well! Also if it's not a toy then it seems to be much more appealing (pens and the Boden catalogue are currently popular), anyone else having the same problem? Weirdly I never experienced this incessant chewing desire with Finn as a baby. The trend seems to be towards silicone toys which are soft, chewable and are easy to clean. There are also some nice wooden ones which feel a bit more classic and subtle in colour and design. We've been testing a few out and whilst Sophie the Giraffe is still a consistent favourite, the Squidge and Pip teething toys are getting very close to being one of the top ones I would recommend outside of Sophie. It's British made and comes with a handy travel pouch. The little ear hooks on Squidge (the green one) are especially successful, a great shape to chew on. V also enjoys looping them on her arms and toes, this seem to keep her quite entertained. Interesting ridges and shapes give lots of different ways to chew and bite. I also like the bright, bold colours and tactile bendy shape for lots of essential baby stimulation. They've been useful in the buggy although I may have to attach it to something as she is keen on throwing as well! Below is V having a good old chew on Squidge and Pip (the yellow one). The cloud teether (below) by Fox's Felts is great too - easy to grip and looks very nice, plus they have a strong colour selection. The mixture of a textured and smooth surface help soothe painful and sore gums. It's really easy for her to grasp and is a great sensory tool for visual and tactile stimulation. Fox's Felts also do these beech nibblers, combining wood and silicone objects on a string which V also enjoyed (especially the little knot tied at the end!). It's been useful on car journeys recently too, keeping her entetained in her car seat. Fox's Felts do really nice packaging and all their products make great gifts. This little elephant teether toy (below) by Blossom & Bear has a cute little heart cut out of it for easy gripping and a trunk to get your little ones mouth around! Blossom & Bear also make a super tactile beaded teething toy with two hoops, one wooden and the other with silicone beads on. V liked to put the beads in her mouth and hold the other hoop at the same time. I love how serious her face is in these shots - it's like 'stop taking my photo mum I'm trying to concentrate and chew here, ok'. 1. 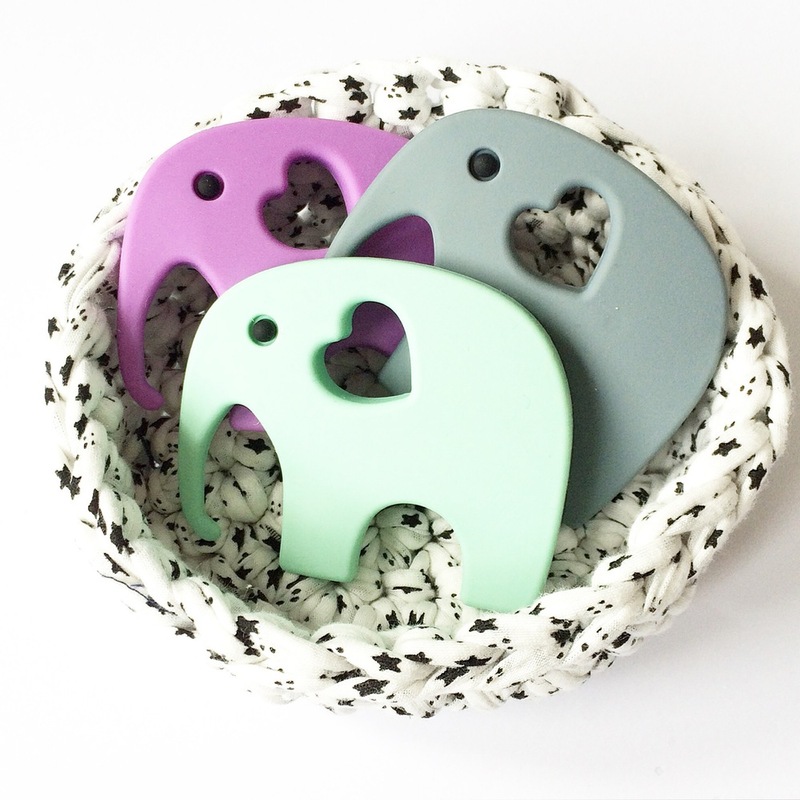 Elephant Teething Toy by Blossom & Bear, £4 each. There's a 15% discount by entering FINLAYFOX at their checkout. Valid for 1 week. 3. 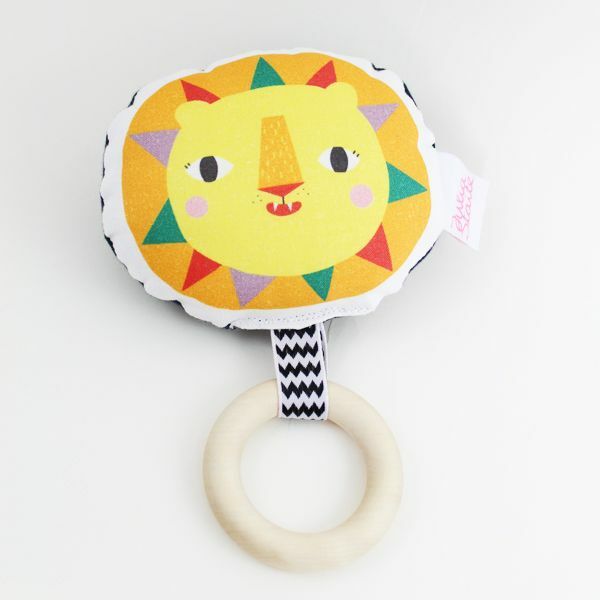 Beaded Teething Toy by Blossom & Bear, £6 each. There's a 15% discount by entering FINLAYFOX at their checkout. Valid for 1 week. 4. Squidge Sensory Teething Toy by Squidge & Pip, £20. There's a 20% discount by entering FINLAYFOX at their checkout, valid until end of August. Stock is currently quite low! 6. Whale Beech Nibbler by Fox's Felts, £11.99. There's a 20% discount by entering Finlayfox20 at their checkout. Valid for 1 week. 7. Silicone Cloud Teethers by Fox's Felts £9.99 each. There's a 20% discount by entering Finlayfox20 at their checkout. Valid for 1 week. 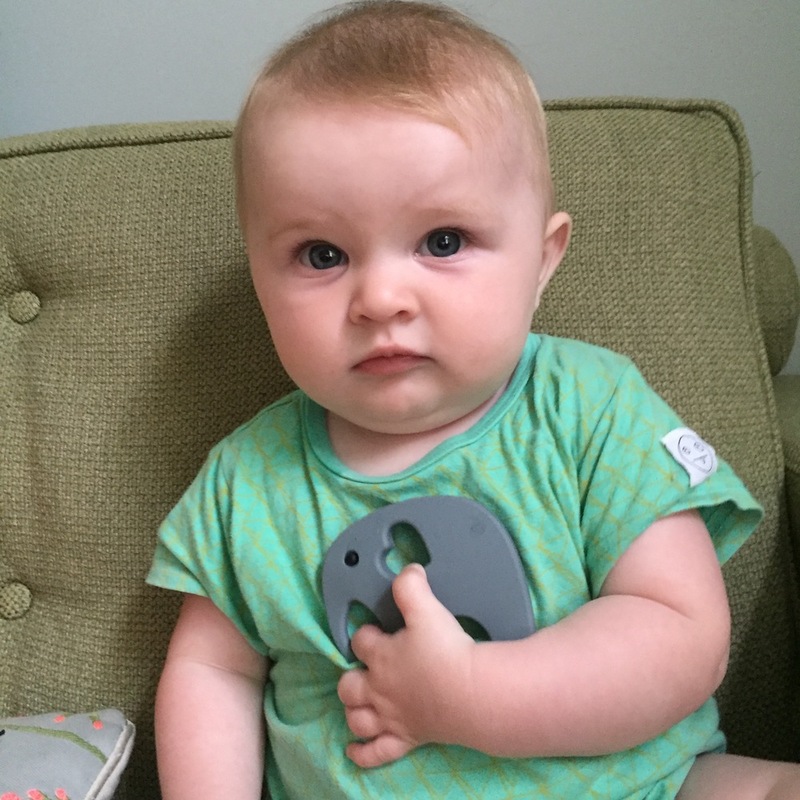 Thank you to Fox's Felts, Blossom & Bear and Squidge & Pip for gifting their teething toys to us to test out for this blog post.